Cross-platform messaging app LiveProfile recently shot to the top of the App Store charts, adding 1 million users in just five days, doubling its total user pool and taking down its servers. So how did an app that’s been around since October for Android (s goog), and January for iPhone (s aapl) suddenly achieve such massive success? Kik was the last service to offer BBM-style messaging across Android, iPhone and BlackBerry devices, until RIM pulled the app and began legal proceedings against the company. Kik, too, experienced massive early success before it first ran afoul of users with a spam email campaign, and then the BlackBerry client was pulled, after which it fell out of the App Store rankings. Karl is confident his app won’t suffer the same fate, he believes RIM’s primary reason for going after Kik was the possibility that former RIM employee and Kik CEO brought over and used trade secrets at his new company. Karl also maintains that LiveProfile is a different type of product. Clearly, though, LiveProfile hopes to capitalize on its similarity to BBM, or it wouldn’t have used a typeface for its logo that looks remarkably similar to the one used for BlackBerry’s branding. It even provides a PIN number that allows others to add you to their network. New York-based LiveProfile was co-founded by Phil Karl and William Key, both of whom bootstrapped the company. Working alone, they “designed, developed and launched the initial Android application and infrastructure” in just one month, according to Karl. In January 2011, two more engineers were brought on board to help aid the platform’s expansion to iOS and BlackBerry platforms. Karl says LiveProfile is currently working on raising Series A funding from “some amazing investors” who have yet to be announced. For the foreseeable future, at least, LiveProfile will not be charging for any aspect of LiveProfile, nor will it be introducing any in-app advertising, and will work instead to continue to improve the experience and feature set using invested funds. LiveProfile may not have been an overnight success, but it is a remarkably explosive one that seems well positioned to continue to experience rapid growth. Between LiveProfile and Kik, the message is clear: users want more options for cross-platform communication. Instagram and Viber are proof that some apps will succeed even if the developers focus on just one mobile platform, but reaching all major smartphone users seems to be a fast-track to startup success. It may be that because of the network effect, reaching one user on a platform that’s normally left out of the party, like BlackBerry, translates into that person’s contacts choosing one client over another on their own, more popular platforms, but that’s still a good reason to consider casting as wide a net as possible. The reason Liveprofile is successful is simple. It functions like BBM but is compatible with all 3 platforms. It is by no means better than BBM, but then again the blackberry if by no means better than anything. 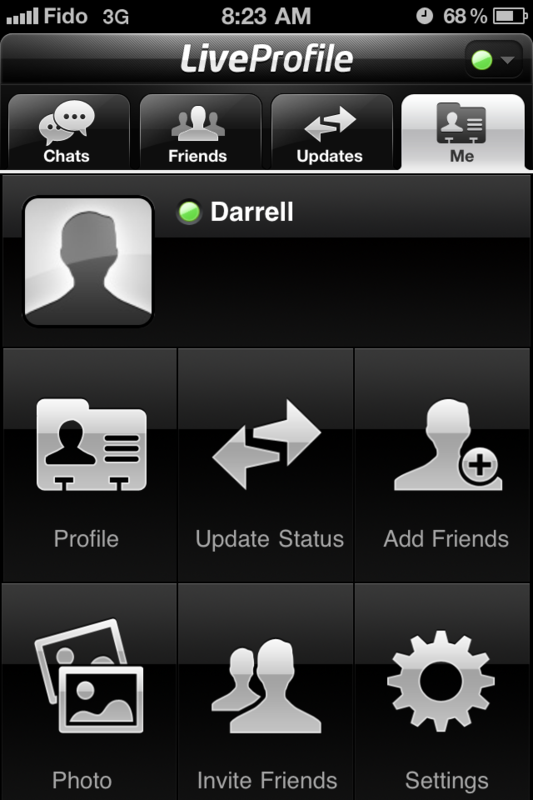 Plenty of people like me who switched from the blackberry to an iphone/android, only miss and miss very much the BBM. This satisfies our old friend and we can now talk to everyone on any phone. In-house cluster? In this day and age when you can run something in the cloud and scale instances up and down based on need? And it’s dirt cheap, to boot? Here’s hoping the investors have some say in their processing plans, because I don’t have much confidence in anything being run at webscale on in-house equipment. It is a bit weird. I’m thinking the company will learn from the trouble of the past week and take a serious look at that. This is, after all, still only a four-person operation and all involved are relatively young, and you’re probably right that Series A investors will have considerable influence on future back-end plans, at least. We started on EC2 but we found moving to a data center allows us to customize hardware configurations to meet our specific needs. Besides the performance increase this is also more cost effective especially at a large scale. We can add a more powerful CPU or more RAM to a specific server as we see fit. Scaling is not an automated process where you can simply turn on instances and everything gets better and being in a data center does not have much difference on the availability of hardware to us. We have made some great progress in the last few days and expect the service to be much more stable moving forward.